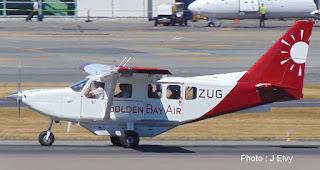 Golden Bay Air's Gippsland GA8 Airvan ZK-ZUG entered service on the 7th of February 2019 flying a Takaka-Wellington return service. The factory new Airvan arrived in the country from the factory as VH-BFN on the 28th of December 2018. 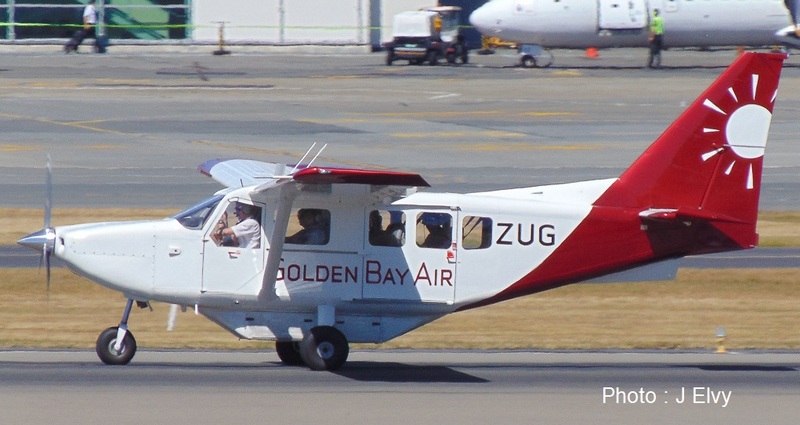 It was been painted in Golden Bay Air colours and readied for service at Repaircraft in Nelson taking to the air in its New Zealand registration ZK-ZUG about the 21st of January 2019. 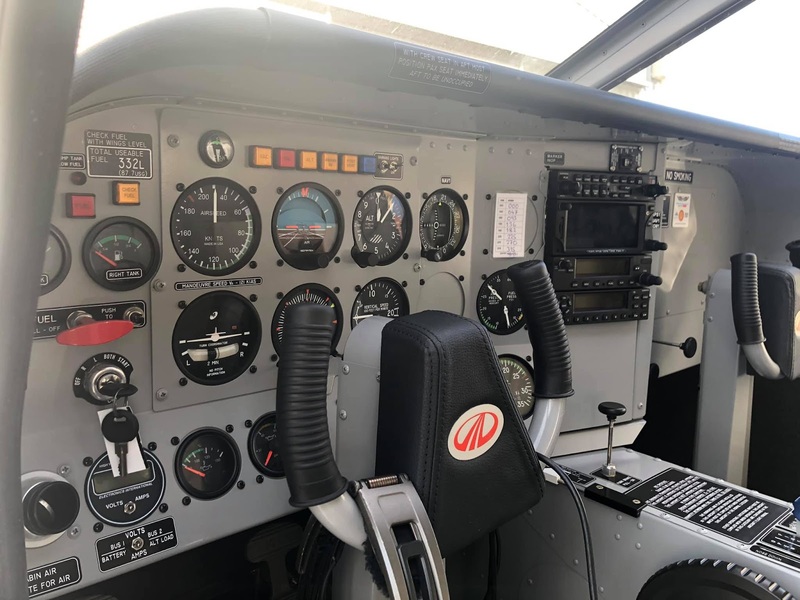 Since then Golden Bay Air pilots have been busy doing ratings and training while the compnay completed procedural development work and sought the necessary approvals prior to entering service. 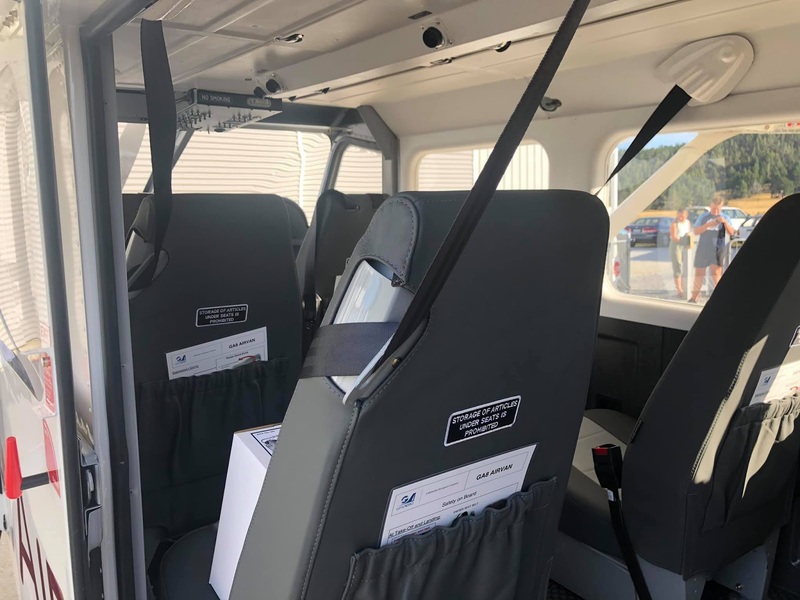 Golden Bay Air's Richard Molloy siad "The Airvan will primarily be used on our Takaka-Karamea-Nelson-Takaka routes and will share the Takaka-Wellington route with our other aircraft. The Airvan seats the pilot and 7 passengers plus great views!" Richard tells me ZUG "has also been flying the Takaka-Karamea-Nelson-Takaka circuit and is well booked over next few weeks." A look inside the Airvan. These photos were posted on the Golden Bay Flying Club Facebook page. My god. They couldn't have picked a worse paint job. The block of colour makes the Airvan look like a dinky little toy. Hahaha yeah that's so true..... something doesn't quite look right.